Dr. Grey's Fat Reducing Pills. A magazine advert published in 1896. 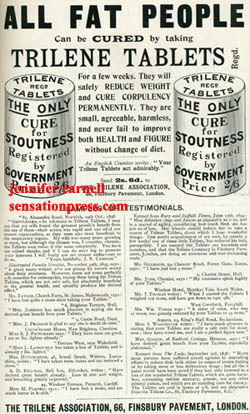 With quotes from satisfied 'buyers', such as Mr. Gillespie of Forest Gate: 'I have just lost 3 stone. 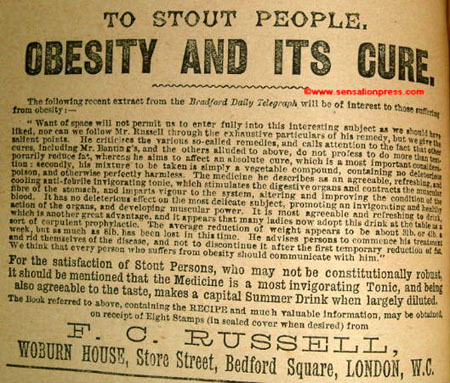 Mr. William Usher: 'A sister of mine, who was 17 stone, was greatly reduced by your Tablets to 15 stone.